Linear X-ray and Gamma absorption measurements are widely used to analyse fluid flows during core flooding studies. 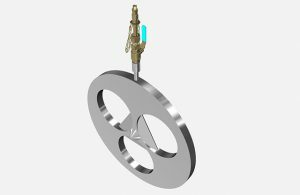 Strata’s Composite Tie-bar Core Holder is ideal for these applications, to obtain relative permeability measurements on core and fluid combinations which can be performed at simulated reservoir conditions. Optimised for transparency, these core holders are uniquely wrapped to Strata’s bespoke design, using T1000 carbon fibre and epoxy composite with an elastomeric liner for fluid retention. The pure composite body attenuates X-rays or Gamma rays less than aluminium or aluminium-lined composite core holders and are also more cost effective. 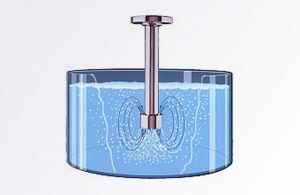 The wetted parts of the core holder can be manufactured from various materials including Stainless Steel or Hastelloy, depending on anticipated duty, and can be supplied with various inlet and outlet port connections, which can be manufactured to suit different fitting types, such as AE Speedbite, AE medium/high pressure cone & thread, or HiP. 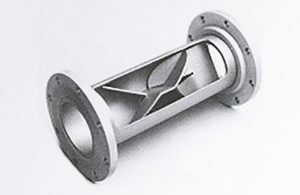 Our standard composite core holders are suitable for use with 1.5″ diameter cores up to 12” in length, however we can adapt the design to accept a range of sizes from 0.5″ to 4″ in diameter. 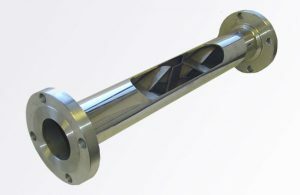 The core holder can accommodate various lengths of core owing to the adjustable stinger tube assembly and floating platen design. If you have custom requirements for composite core holders then get in touch with us, as we have over 18 years of experience of designing and building bespoke core holder solutions tailored exactly to customer requirements.